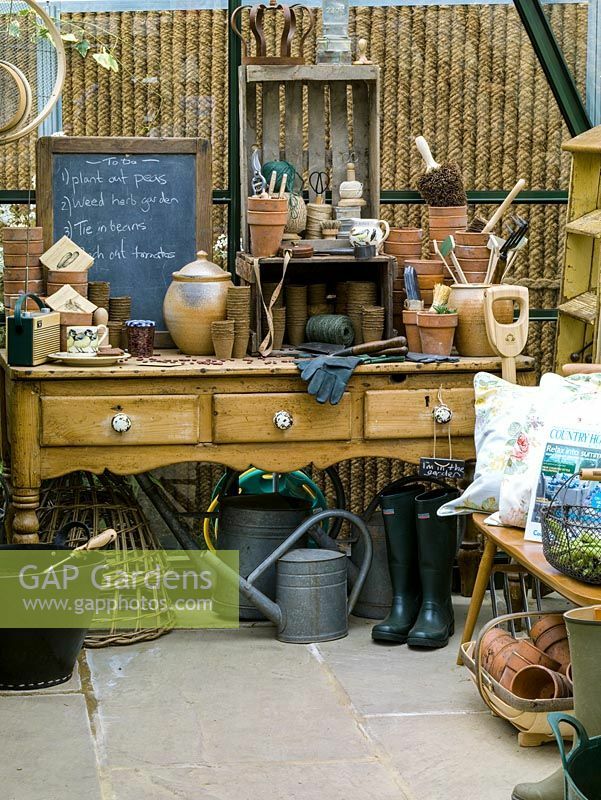 In greenhouse, old pine dresser provides work area for terracotta pots, string, labels, gloves and lists. 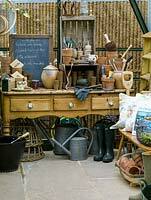 Boots, watering cans, fork and trug. Image 0483005 has been added to your cart.